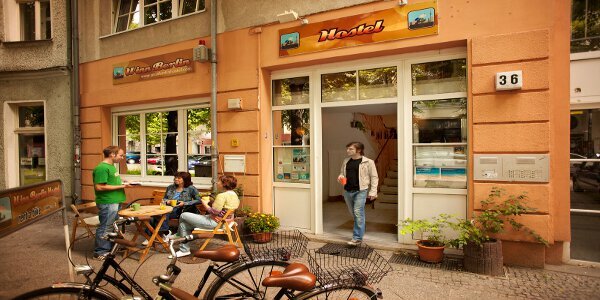 U inn Berlin Hostel is located in the middle of the alternative student part of Berlin, located in a small tree-lined street just a few steps away from nice cafés, bars, Berlin – Label -shops, yoga studios and the “Berlin Club Street”. You can enjoy clean, tastefully decorated rooms, friendly and competent staff, highest possible security, quality beds and surf the net with our free WiFi in the whole house or relax drinking a real Cappuccino or a fresh cold German beer in the lounge. 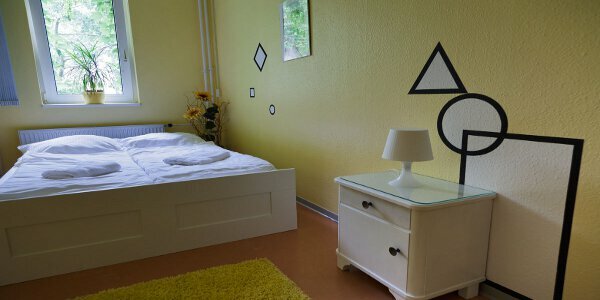 After years of experience U inn Berlin hostel still gives you that vibe that you would expect from a top quality hostel combined with a personal and warm athmosphere. Our staff are friendly and eager to help and will not let you run into the next best tourist trap. All of our comfortable, spacious rooms are equipped with free WiFi, reading lamps and free lockers. Plus, our cosy wooden beds with comfy mattresses offer you security after a wild night in one of many nearby Berlins clubs. Our quaint Bavarian style kitchen offers enough space and equipment to fry a tasty Schnitzel together with new found friends. Also in front of our doors you can sit on our little bench in the sun like a real Berliner and smell the taste of real Kiez air while having a little chat. Even though we do not offer stag, hen parties or pub crawls, we are still open for fun and happy to help you get the best out of Berlin’s pulsating night-life.